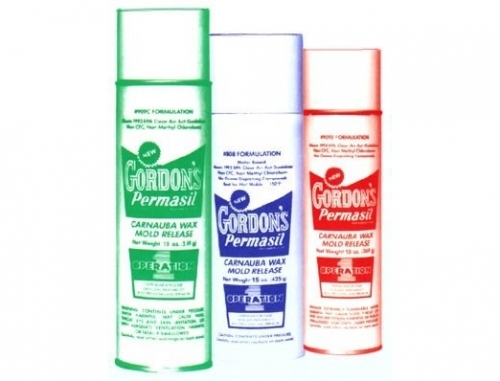 GORDON'S PERMASIL #909D (Red Label) Flammable Solvent-Based (Red Label) 369gr Can Carnauba Wax Aerosol Spray, Industrial and Automotive Applications. With far less than 5% of market share, this product is only ever used when manufacturers' specifications require it. Otherwise, this product has been entirely superceeded by the other two grades. 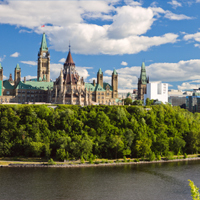 CAPLINQ is primarily a business-to-business company, so the prices listed exclude all taxes (federal, state, GST, VAT, MwST and BTW). Invoices can be converted into EUR, USD or CAD as requested. The prices listed in the order table are for the minimum order quantities. As the order quantity increases, the price decreases as per the above chart - these volume discounts are adjusted at checkout. 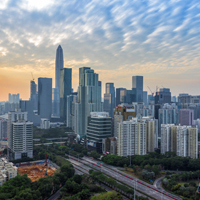 CAPLINQ also accepts orders by Corporate Purchase Order. Please Contact us to find out more. DON'T LIKE THESE PRICES? Tell us what you will pay for what order quantity, and we'll let you know within 24 hours whether we accept your offer. * Unless otherwise noted, delivery service is by Priority national post (ie. Canada Post, USPS, TNT Post or similar). 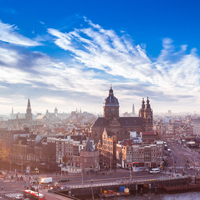 CAPLINQ reserves the right to determine the shipping carrier and ship-from location. Carnauba wax itself is nothing new. Carnauba is a natural wax derived from the carnauba palm, a palm tree native to the northeastern Brazil. It is used in a wide variety of applications including automotive waxes, shoe polishes, dental floss coatings and paper coatings, the last of which is its most common application in the United States. What makes this product so attractive is that it contains no silicone or Teflon® (DuPont trademark for the generic polytetrafluoroethylene or PTFE). While these ingredients may be well-suited for the release of rubber molds or to coat anti-stick surfaces, they rarely have a place when working liquid epoxy, epoxy molding compounds (EMC) and some other plastic types. Most semiconductor manufacturers know this of course, and use chunks of carnauba wax to break in new epoxy molds or to release the plunger when it sticks. Carnauba wax is compatible with epoxies and generally enhances its properties along with those of most other engineering plastics. 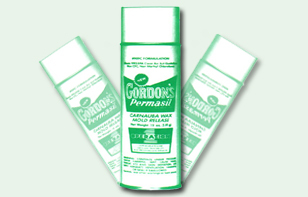 M.J. Gordon's Carnauba Wax Mold Release is dubbed as the "World's Finest Carnauba Wax Mold Release". 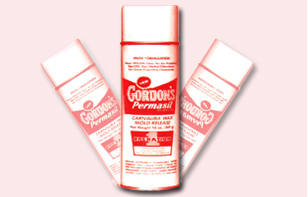 What is unique about M.J Gordon's Carnauba Wax Release is the patented process of making it available in aerosol spray form. Typically, carnauba wax is only available in flakes, powder or clumps. These clumps are the same ones typically used by semiconductor manufacturers. What M.J. Gordon's aerosol spray version allows is uniformity, control, and the convenience of an aerosol spray. "Unconditional Guarantee that every can will operate from its first spray until completely emptied without fail or the entire case of 12 cans will be replaced at no product nor freight cost to the customer." Used worldwide by the leading manufacturers of semiconductors, capacitors, resistors, transformers, inductors, relays, electro-medical equipment and more, M.J. Gordon Mold Release Aerosol Formulas ensure that regardless of the product manufactured or the type of molding process performed, these quality products improve these operations. Not only do they offer the uniformity, control, and convenience of an aerosol spray, they actually enhance the Tensile Strength and Displacement Properties of highly engineered plastic resins as tested by an ISO9002 Certified Laboratory. Results of the tests are available upon request. Many customers who have used other sprays in the past, whether it be Teflon® or silicone are amazed by the results they obtain after testing the carnauba wax aerosols. Semiconductor manufacturers in particular use this product regularly to break in new molds and after multiple shots of epoxy mold compound. The carnauba wax prevents the epoxy mold compound from sticking in the mold-chase, rust-proofs the mold-chase and and allows for easy release of the product from the chase once molded. There are only three versions of the solvent-suspended carnauba wax aerosol spray and by a long margin, the "Non-Flammable Green-Label" product is the most popular. This is due to its non-flammable solvent which makes it easier to ship internationally and makes is easier for customers to accept. 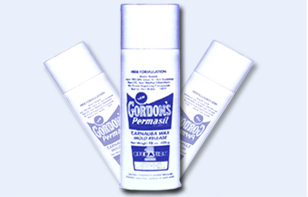 For all M.J. Gordon's products however, the above mentioned unconditional guarantee applies. By far the most popular grade with more than 80% of this grade in use, this version uses a non-flammable solvent to suspend the carnauba particles making an easy choice for manufacturers. Taking up the majority of second place's demand, this grade is for use in applications where a water-based version must be used. With far less than 5% of market share, this product is only ever used when manufacturers' specifications require it. Otherwise, this product has been entirely superceeded by the other two grades. 2. These data are intended as a guide; specific applicability must be ascertained through product testing within particular manufacturing conditions and parameters. 3. Prior to use ALL LABEL WARNINGS as well as those within the Material Safety Data Sheet (MSDS.) must be read and understood. 4. The testing was completed at an independent ISO 9002 certified laboratory. 5. Additional Test Data as well as methodology available upon request. Close mold slowly on low pressure, then apply high pressure to purge gas. Preheat to eliminate moisture. lncrease preform temperature. Breathe mold as soon as possible. Check mold temperature for uniformity. Vent mold at dead ends with vent pins. Close on low, apply high pressure sooner. Use softer grade material for more pressure. Be sure of 0.002-in. between force and cavity. Be sure overfiow grooves are clean. Reduce transfer pressure andlor increase clamping pressure. Try a range of plasticities for best grade. Try a higher density material to obtain greater "hack pressure" in the mold. Use semi-positive molds to minimize porosity. Remove dents and undercuts in mold cavity and force. Lower pressure, softer material if plunger molding. Be sure cavities have sufficient drait. Adjust mold temperature - usually reduce temperature for better appearance. Close slowly on low pressure. Delay 2 sec. before applying high pressure. Use large preforms and as few as ~ossible. Close slowly, longer on low pressure, no breathe, then high pressure. Shape preforms more closely to piece. Use lower shrinkage material. and/or material more rigid at discharge. Redesign mold; use wider knockout pins. Adjust temperature of force arid cavity - lower temperature may reduce warpage. Preheat for irregular shaped pieces. Cool uniformly and use shrink fixtures. lncrease wall thickness around inserts. Correct size of shrink fixture. Oven anneal 2 hr. at 200°F. Preheat 1.5 hrs. at 185°F. Open gates; be sure vents are * clear; check plunger travel time to see if it is between 5 and 12 sec. (faster close will entrap gas; slower close causes burn marks). The following information is specifically related to each unit of measure of Permasil 909D Red Label Carnauba Wax Flammable Solvent-Based Mold Release. If you which to compare this to other product sizes, click on the respective product from the list above and check here for values specific to that product. These values are taken from our internal database and are used in the calculation of the gross weight and packaging dimensions of the goods during shipping. You can use these values to to approximate delivery charges using your own carrier. CAPLINQ is different. Unlike other business to business enterprises, we encourage our customers to discuss, critique, and otherwise comment on the products we offer. Get more technical information, read detailed posts, and see what customers have to say about about Permasil 909D Red Label Carnauba Wax Flammable Solvent-Based Mold Release on our Corporate Blog and Forum. Read more about Permasil 909D Red Label Carnauba Wax Flammable Solvent-Based Mold Release on our Blog. Join the discussion about Permasil 909D Red Label Carnauba Wax Flammable Solvent-Based Mold Release on our Forum.